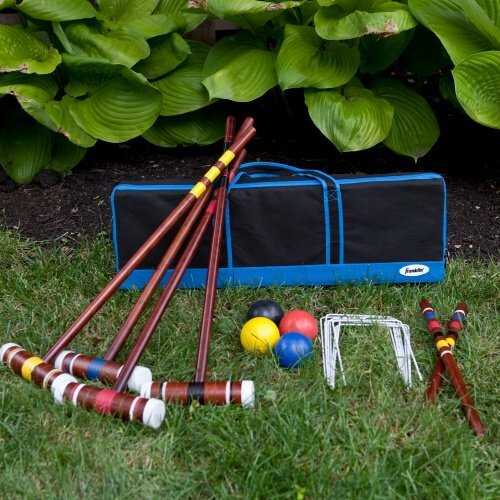 This set is sanctioned by the United States Croquet Association and also includes rules for setup and game play. With this Best Cheap Family Croquet Set Game you can feel free to follow those rules or to invoke an arcane set of "house rules" to better frustrate your opponents. It's all in good fun!